The new juice cleanse, ayahuasca has been touted as the drug of choice for the age of kale; a way to purge the bad and feel amazing. 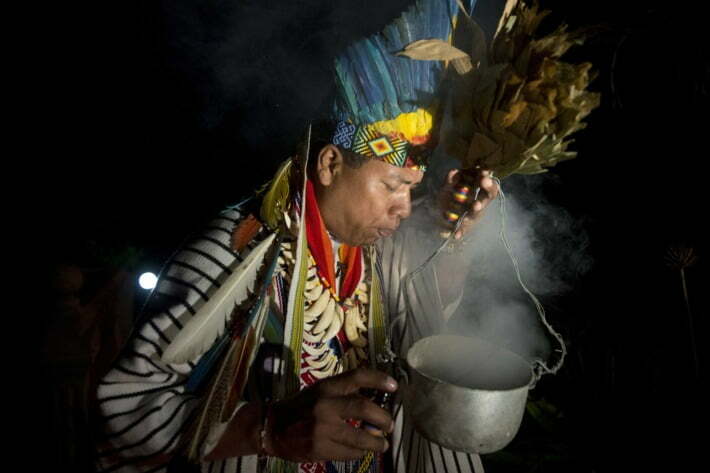 An Amazonian psychoactive brew, the hallucinogen is making a big impact in hipster circles and can act as a spiritual catalyst (as shown by its 5,000 years of use among the indigenous tribes of the region). It has also managed to reach multiple subcultures in the contemporary urban landscape. It acts as both a method of self-care for the yogis and individuation for Buddhists. Brazilian researcher Rafael Guimares dos Santos explained his view on the current state of the research on ayahuasca for a recent post on The Conversation. Santos is a postdoctoral fellow at the University of So Paulos medical school and warns that the field is young but promising. 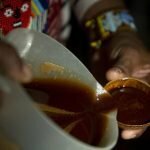 Reductions in dependence and substance abuse have been found in a 2016 review of observational studies of regular ayahuasca users. Also, a 2015 study for depression treatment found 82 percent reductions in depression scores; and yet another 2016 study review found short-term use had shown improved planning and inhibitory control, when used as a source of antidepressive and anti-addiction. Intriguingly, a 2012 study of long-term ayahuasca users found that regular use does not seem to encourage abuse of the psychedelic and is non-habit forming. 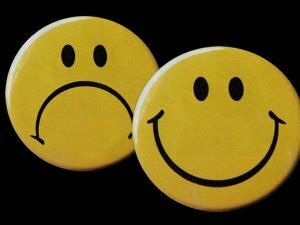 The problem with this research is the methods in which the medication was applied: The placebo effect has shown to be exceptionally effective in regards to reversing the symptoms of depression. When people seek an ayahuasca experience there is already a tendency toward the bias of belief that it will help cure whatever emotional challenges theyre working through. That is why Santos and his associates are in the process of performing an 80-person research study on the use of ayahuasca as a treatment for social anxiety. Santos touts the study as a double-blind, placebo-controlled research experiment, which means that the results will produce way more robust results. The methodology is crucial in achieving a more tangible prognosis. Ideally, the Santos research study would have more patients, making it an even more robust endeavor with more actionable results. The use of hallucinogens for treatment shows hope that it may be the sort of thing that can positively alter a persons outlook on life by creating an epiphany, conversion, or a peak experience. Matthew W. Johnson, the Johns Hopkins psychiatrist has been performing psilocybin research to help smokers quit their habit. Matthew has mentioned to Science of Us that he wasnt looking for results of a spiritual nature, but it has become apparent that it really makes a difference. The data collected by Matthew does indicate that the stronger the mystical experiences is, the greater the positive results. Johnson explained in an email. Such experiences tend to put life priorities into perspective. Since it has shown to give positive results with psilocybin then it stands to reason that ayahuasca would produce good results as well.